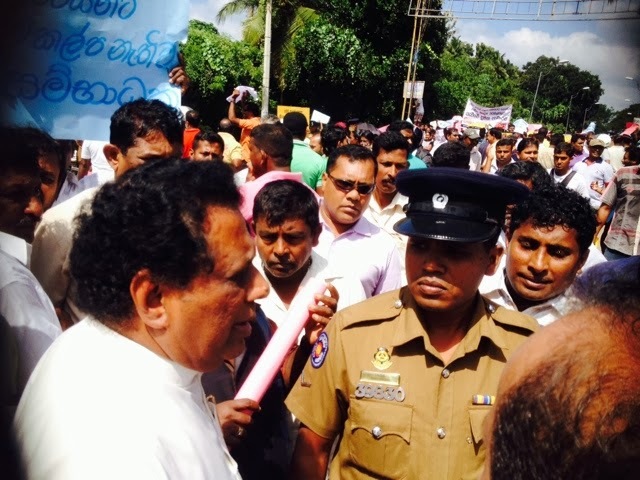 Hundreds of fishermen were protesting and blocking Puthlam -Colombo road near Thoppuwa junction. 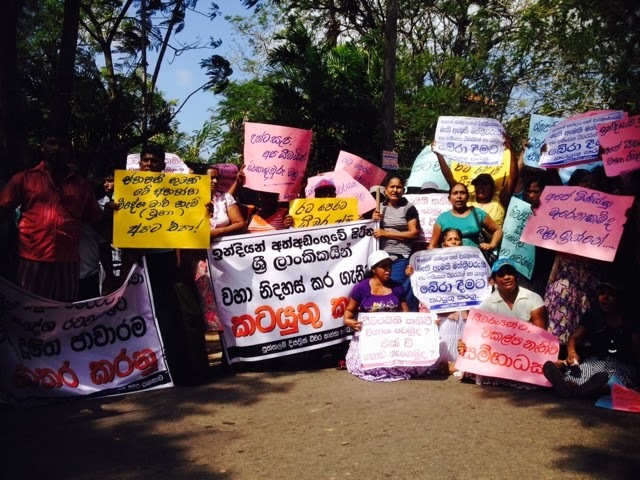 They were protesting against foreign fishing vessels who are employed in Sri Lankan waters and use harbour facilities in Sri Lanka. Fishermen are complaining these production have caused an reduction in the price of tuna fish, in export market. According to fisherman, the export market pays a good price for Sri Lankan production as they are in good quality. The foreign fishing companies getting the advantage and send their production via Sri Lanka. Fisher women who participated in the protest were asking for the release of fishermen who are in Indian jails, for some time. They accused India, of closing down the international shipping routes in between SL and India, and they are taking SL fisherman into custody, while in international waters. Furthermore, the fishermen wants to cancel the subsidy for fuel, and reduce the price in general. Since the subsidy does not meet the requirement and also the process is not well organised. They say that they are being cheating by the government. 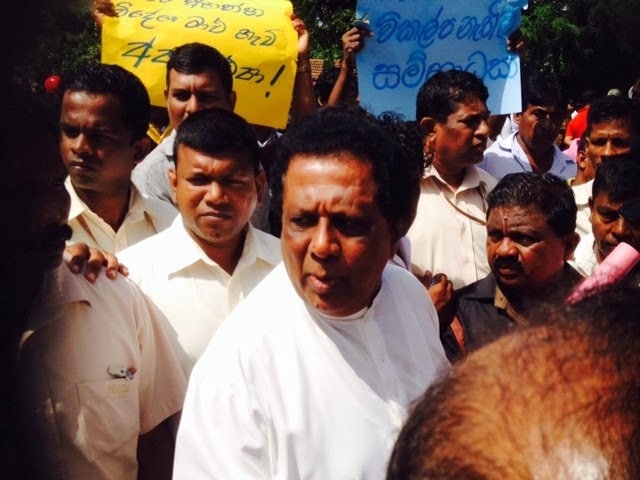 Puthlam - Colombo road was blocked for about one and half our until deputy minister of fisheries Mr. Sarah Gunarathne promised to take the issues to the president Mahinda Rajapaksha today himself. Twenty representatives from the protesters were selected to go and discuss the issues they are having.